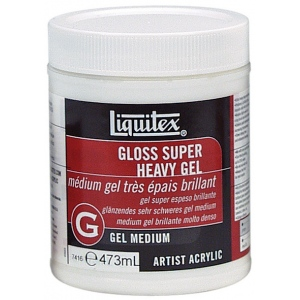 Extremely thick extra heavy body clear gel. * Very dense with high surface drag for a stiff oil-like feel. * Dries clear to translucent depending on thickness of the application. * Very little shrinkage during drying time. 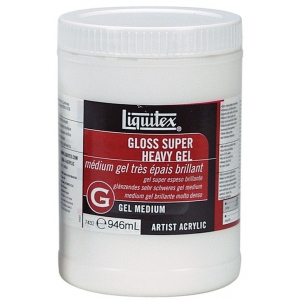 * Excellent adhesion for collage and mixed media. * Extends paint increases brilliance and transparency. 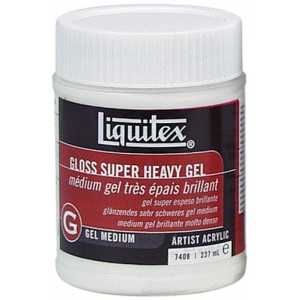 * Keeps paint working longer than other gel mediums. * Flexible non-yellowing and water-resistant when dry.